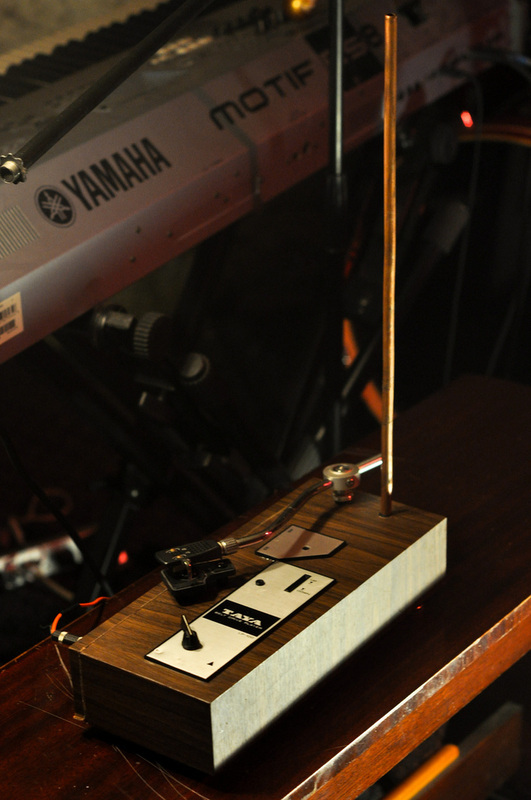 The pitch of a theremin is generated by two oscillator circuits: a reference oscillator, and a control oscillator. By changing the distance that your hand is from the antenna, you change the frequency of the control oscillator circuit. The signal that is amplified through audio speakers is a signal with a frequency equal to the difference in frequency between these two oscillators. The idea is that the player's hand acts as the second plate of a capacitor in the LC circuit of the control oscillator. 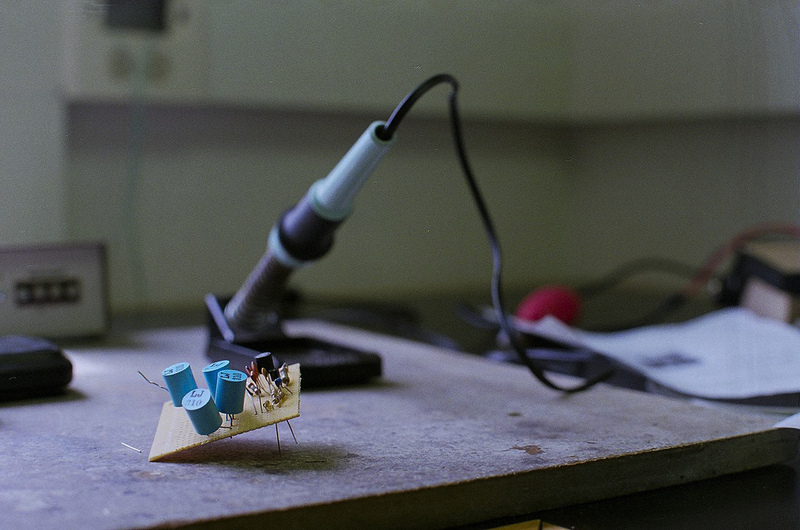 This instrument can sound eery, and you may recognize it from old-school sci-fi flicks. 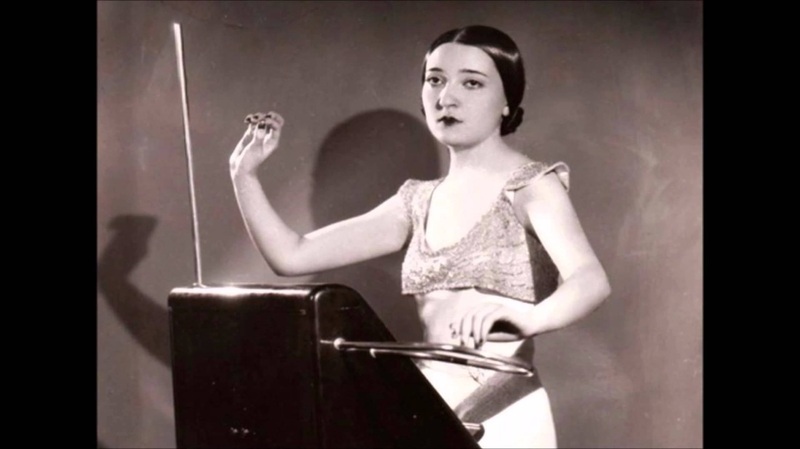 If you have not heard or seen a theremin played, check out Clara Rockmore perform The Swan. A link to the video is below. Other videos include the workspace, and me playing the completely constructed instrument. Unfortunately, I never figured out the volume control antenna. 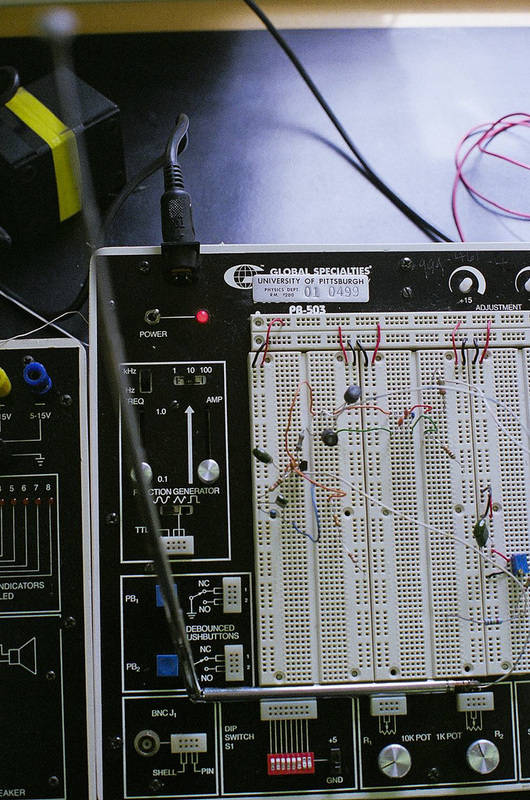 After taking an electronics course at Pitt, I asked Dr. Everett Ramer if I could work on a summer electronics project. 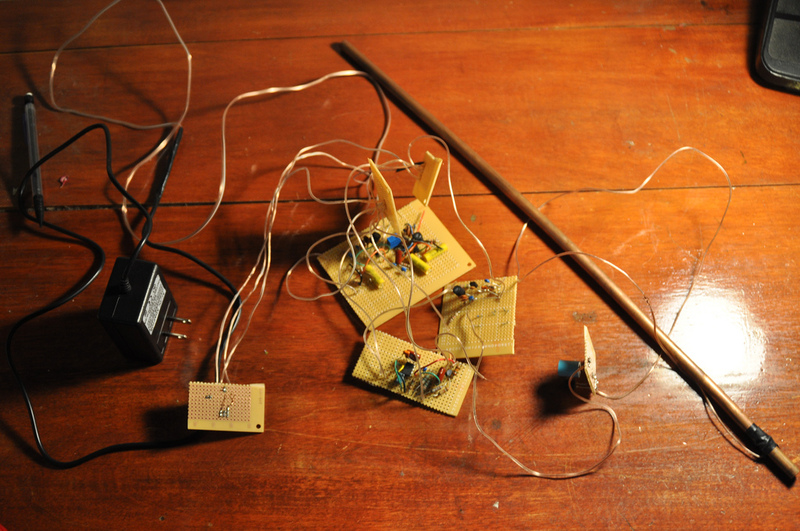 With his permission I constructed a theremin using equipment in the lab during the summer of 2010. Special thanks to Everett for all his help and guidance throughout the project. 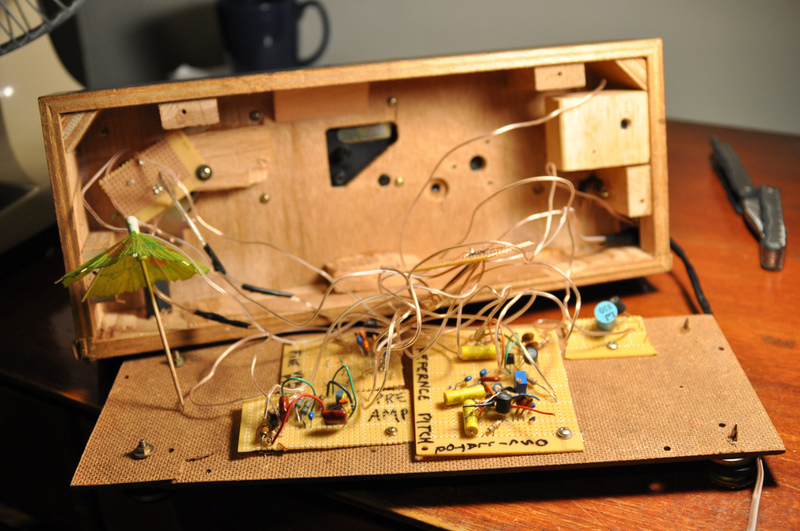 I constructed one part of the theremin circuit at time. Usually, I looked up circuit diagrams online, but I also had to make adjustments on my own. 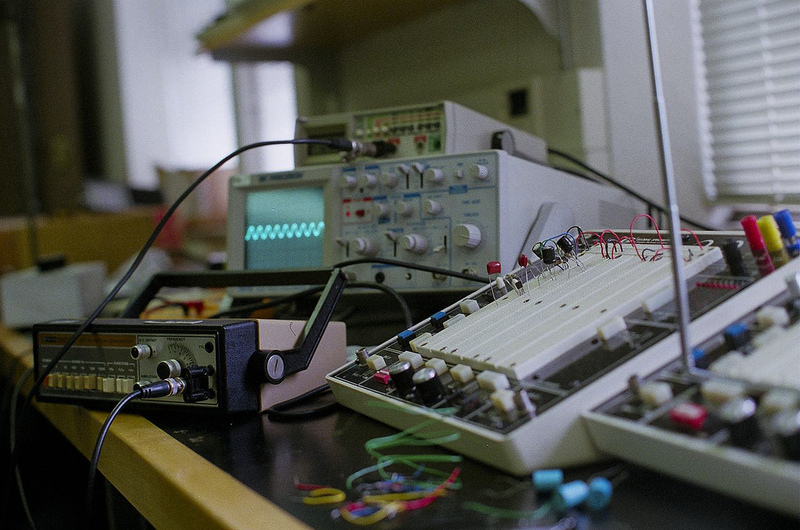 To troubleshoot, I used an oscilloscope, multimeter, and function generator. In addition to the antenna, I also added a course pitch adjustment by included a knob for a variable capacitor in the control oscillator circuit. The antenna was made out of copper piping, and the electronics were housed in an old record player chassis that I found on craigslist. I used the instrument in a few music projects, and you can hear it in the song I composed for the stop motion flick I made called End of Night.